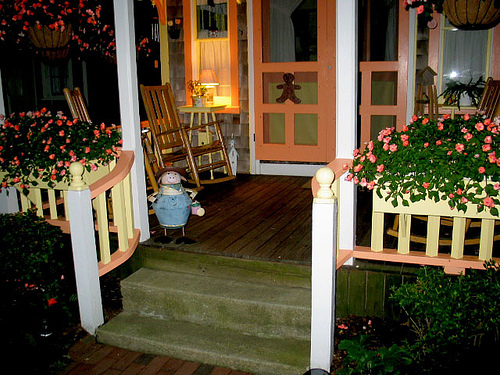 You are currently browsing the Suburban Homesteading – Frugal Living blog archives for August, 2010. Being Frugal Today May Not Be A Choice. From the day we are born we are fed the idea that we must spend money to be happy, buy to be content. But, is that really true? 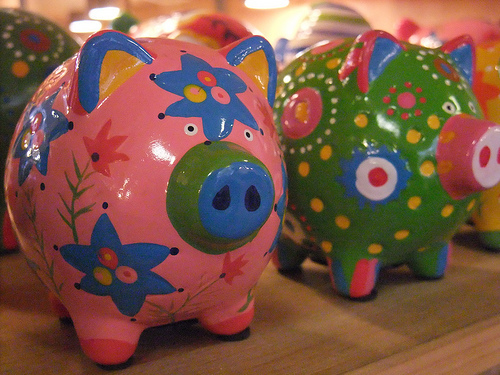 Are we happier spending money we may not have? Are we more content when we have maxed out our credit cards or depleted our bank accounts? Our current economic times, with the weight of consumer debt, skyrocketing foreclosures and job layoffs say we’re not. Many have come to realize that spending money wildly, without taking the time to consider each purchase has brought us to where we are today. But, what do we or can we do about it? It is so ingrained in us that we must have what the neighbors have, wear what the celebrities wear and buy what the television ads tell us to buy. How do we change? Simply put – we change – slowly, deliberately, consciously, and over time. We change the way we think about money and spending and having; money we may not have; spending where we don’t need to; and having what we think we need, but really only want. Change can be scary and the steps daunting, but they can also bring us a great deal of freedom and contentment. Not to mention money. 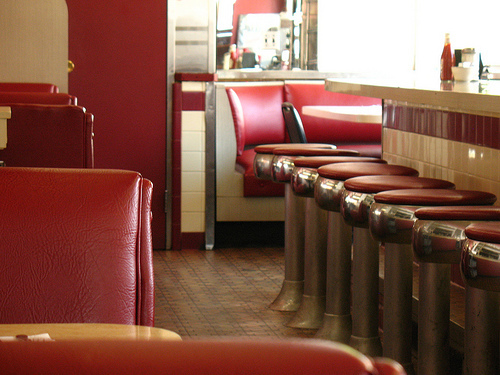 There are hundreds of books and articles on frugal living out there. Plus loads of information about how to reduce your life and cut out the things you like to do. These books and articles tell you how to creatively do without. What a wonderful Saturday morning I had at the Spinners and Weavers Festival! I woke up early, the sun streaming through my window. I can already feel the changing of seasons and that Fall is not far off. After a leisurely breakfast with friends I packed my tote bag and headed down the road to the other side of the county. What ever thoughts I had about summer not coming to our area quickly disappeared as the thermometer in my truck rose above 80. It wasn’t even 9am. When I pulled into the festival venue I was surprised and delighted all at the same time. An abandoned elementary school had been transformed into an arts center. Each classroom was divided into individual artist studios. There were potters and sculptures; painters and of course weavers. It was exciting to see such a great reuse of a building that could have turned into a dilapidated mess, with graffiti scrawled over the walls and vandals destroying anything in sight. But it was full of life and talent and art. As I made my way through the rooms I recognized some of the artist names from art walks I had been on around the area. But the real treat, the real reason I went was to see the weaver’s guild. Their studio took up a multi-purpose room, and was much larger than the rest. It was full of looms strung with yarns of all colors and projects in various stages of completion. There were tabletop looms for weaving scarves and larger horizontal looms for shawls. The yarns were all hand dyed in deep rich hues of greens and purples; blues and teals, and an array of natural tones. Seeing them stacked on the shelves was like its own piece of art. The vendor booths were set up on the grass areas between the classrooms and in the back parking lot. Many of the vendors were selling hand dyed rovings in wool, alpaca, angora and rabbit. 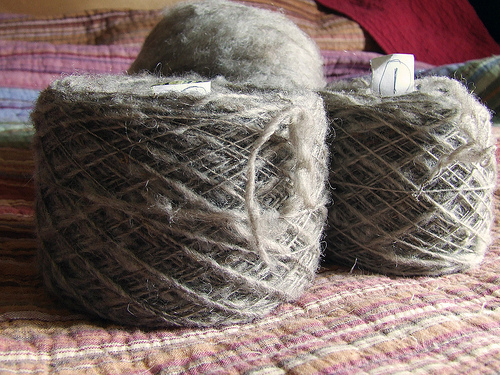 Some vendors had spun yarn while others offered raw wool, leaving the pleasure of dying it to the buyer. There were vendors with spinning wheels, drop spindles, drum cards, hand cards, books and patterns for making your own creations. It was fascinating to see all the ways the artists found to show their creativity. After a few hours at the festival I was ready to head home, to the simplicity and quite of our little farm. My eyes were opened a little wider today. There are many ways to express ones artistic talents. Some mold clay into pottery, some lay paint to canvas, some take dirty raw sheep’s wool and transform it into gloves and hats; scarves and shawls that keep us warm all winter long. And some, like me, take a small suburban homestead and turn it into a patchwork of gardens and orchards and flowerbeds. This is my palette. As our nations food supply is consolidated into larger and larger growing and processing facilities, can consumers count on safe food? The recent and expanding salmonella outbreak and subsequent recall in the egg industry says it can’t. With millions of eggs being pulled off store shelves where can consumers turn for safe food? One answer – their own backyard. Well – we are on day three of our week-long county fair. We arrived on Monday afternoon, and after finding our pen assignments went about the task of unloading tack and animals, getting everyone settled in and watered. At 6pm the sheep were officially weighed in. The livestock office uses the weights to divide up the animals into classes. Although we have a scale at home and weigh our show lambs weekly this is always the most anxious part of the fair for me. Tuesday was the busy sheep show day for us – full of washing and grooming, making sure to check in for each class on time and of course the judging. The excitement is high, but so is the anxiety as we wait to see how the judge places each animal. Brianne won her market class which qualified her to compete for 4-H Champion Lamb, and even though she didn’t win champion she was thrilled for her little friend that did. After the market division the breeding sheep show started. Brianne had two ewe lambs and ram lamb in that division. She placed 3rd and 4th with her ewes and won Champion Ram with her little guy. She was excited because this was the first time she’s shown a ram at the fair. Friday will be another action packed day as all the market animals are sold at auction. Brianne has worked hard building up a group of people who will support her by bidding on her lamb, so she is hoping to get a good price. Then on Saturday she will show off her livestock handling skills in the showmanship competition. But, for now, we have two days off to rest and relax as the kids showing hogs and cattle are put through their paces. We’ll have more to update you on later in the week. Well – leave it to two crazy livestock girls to cram as much showing as possible into the shortest period of time. Our county fair starts today and rather than concentrate on the local scene Brianne and I decided to drive two hours north to attend a one-day livestock show on Saturday. We left before dawn and arrived shortly after 7am. The weather was quite warm, but the show was fun, Brianne did well, and it was great seeing everyone one last time before heading to our own county fair. One particularly fine friend took our biggest lamb to the sale yards along with his, so that is one less trip we have to make. After that, we empty the barn of sheep to make room for the meat chickens that will be raised to Cornish game hen size then processed for the freezer; and with any luck we’ll also have a feeder pig to raise and butcher before Thanksgiving. With our busy show schedule I just wanted to drop a note that posts for the next week may be a bit sporadic. Brianne shows in the market and breeding sheep classes on Tuesday and if I’m not too tired I’ll let y’all know how she did. As much as I love our life of livestock, shows and running around together, I’m looking forward to rolling into my favorite time of year – Autumn – with it’s cool days and warm evening glows. I’m already beat and we’ve haven’t even gotten to the fair. For now I’m just putting one foot in front of the other. Wednesday I can collapse. I leave the amenities. I leave the street light security. I leave the proximity to be near mountains and streams and unfettered skies; I wander off the familiar path to lonely back country roads, hugging the foothills like a cocklebur clings to my pants – no chance of falling off. Insecure, anxious until a hundred miles from home I watch the cars fade to another place, like a handful of chaff tossed in the wind; the skies open deep and clear; my body eases, my mind relaxes and all the chains of suburban life fall away, link by link. Several years ago I spent part of October in Vermont and up state New York. The trip was everything I had seen in pictures and more. The weather was cool and crisp, the people friendly and warm, the towns historical and picturesque. But, what struck me the most was the wonderful road-side stands with their quaint “honor boxes”, overflowing with homegrown flowers, pumpkins, squash, veggies, even bales of hay and jars of honey. They were artfully arranged on wagons or tables or wooden boxes. It was wonderful to see this kind of business mindedness, even if it was on a small scale. I was so taken by the stands that the dashboard of my rental car looked somewhat like the LA Produce Market by the time my trip was over; it was brimming with purchases. It got me thinking though; I think that’s what makes travel so wonderful – pulling together ideas from everywhere you go and incorporating them into your own life and situation. A variation of the Vermont honor stand was born the following growing season as the Front Porch Farm Stand – sort of. I wasn’t totally convinced that my produce would be paid for, considering the area of southern California I live in, so instead of arranging it at the end of my driveway (like I had seen in VT) I made a sign from a piece of charcoal slate and hung it on the bracket of my mailbox. In colored chalk I wrote the “specials of the day” – eggs, peaches, herbs, pumpkins and gourds, and the prices. What ever excess was at the peak of freshness was sold as surplus. It is a great way to meet new people, strike up conversations about eating locally and promote the idea of suburban homesteading. Plus, the buyers had a chance to meet the grower and be more connected to how and where their food was grown. I have even found a few people interested in buying day old chicks. Selling summer surplus from the garden is a doable idea for any suburban homestead! Looking to bypass the money economy? By adopting “possum living,” it is possible to get the good things in life without having to go to a boring, meaningless, frustrating job to get the money to buy them. It brings new meaning to Frugal Living. 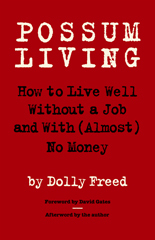 In this excerpt from Possum Living: Living Well Without a Job and With (Almost) No Money, Dolly Freed shares why she decided to shun the rat race and live off the land on a half-acre lot outside Philadelphia. Originally published in the late 1970s when Freed was 18 years old, Possum Living is part philosophical treatise, part down-to-earth how-to, and provides a no-nonsense approach on how to beat the system and be self-sufficient — right in suburbia.